Well.... what a hilarious day yesterday. Went on my first bike ride... it was SHORT!! OMG!!! I am ssssssssssssooooooooooooooo out of shape (no surprise there). After riding a short distance (maybe half a block) I decided my seat needed to come up some....I felt all squished together. Jack and I rode up the drive way (it has an incline) which about killed me. (I don't do hills very well!) He got out the tools... adjusted my seat and said... "here you go..ride out to the street and see if it feels better"! Ok...here's where it gets good... I did that... well I attempted! I noticed that my balancing skills were somewhat shaky since I hadn't been on a bicycle in YEARS. Before I knew it... I was headed towards a section in our drive way that is a grass mound with a light pole in the middle of it. Yep... I went into the grass... up the hill a bit... could tell I was loosing my balance... started to drift backwards... and before you knew it... I AND the BIKE... were on the ground. Now... at this point I was laughing so hard I thought I would pee my pants. Jack came running over... LAUGHING HYSTERICALLY... I might add... and tried to rescue me. He kept asking if I was all right and all I did was laugh. I was all right... I hit my head (just a little bit) and banged up my little pinkie. Other than being totally embarrassed... I was fine. So.. after a few minutes... I got up and promptly put the bike in the garage. Tomorrow was another day! That... my dear friends...was my first bike ride! What an experience! Today... I will try it again... hoping there will be NO FALLING!!. I had forgotten how HARD concrete is! Our dinner plans last night were changed. Larry wasn't feeling well so we just ate locally... Woody's barbecue. I love their baby back ribs. We'll make a trip to St. Augustine at a later date... maybe on Saturday.. .all day and make a day of it. Found some cool stuff for you.... here we go!! When we were kids we used to help mom hang the clothes on the line (had NO dryer) Man oh man I hated doing this.... especially when it got colder outside... brrrrr... those clothes would be steaming while we were hanging them up. 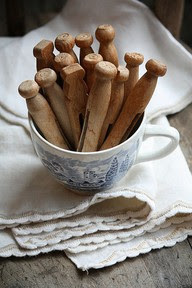 PLUS.. because we had to use the clothesline... we were NEVER allowed to have the THICK bobbie socks (remember those). She didn't like how long they took to dry on the clothesline. Isn't that a silly reason? So we had to wear those skinny things that continually slipped down into the heal of your shoe..... It scarred me for life... I've never liked skinny socks since then! HA!! Look at this house... it's my dream RETREAT house ...with all of these porches. It's in Savannah! 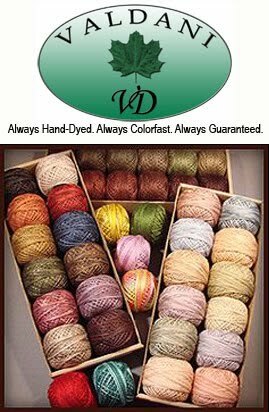 Wouldn't it be fun to have a retreat house there... beside a wonderful quilt shop? I love this city... if you've never been there... you MUST go and take a tour of the historical homes. it's so interesting to see how they lived! I'm so glad I live in this century!! 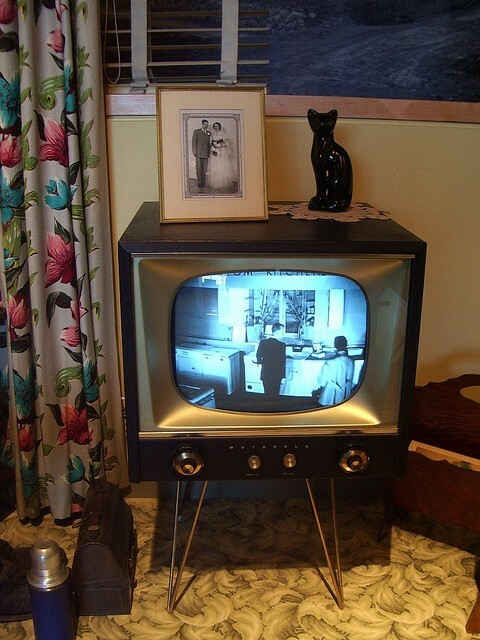 This is exactly what our first television looked like! Gosh.. I remember watching wrestling, boxing, Howdy Doody, Captain Kangaroo... and all of those old programs on it. See that lunchbox right beside the TV? My daddy carried one JUST LIKE THAT to work (factory job) every day. I can remember watching mommy pack his lunches. I know you are all just drooling over that carpet and those curtains... aren't you? Whew...this person needed a decorator!! 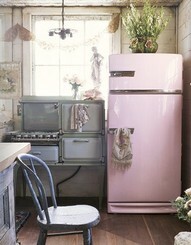 Check out this old stove and this adorable pink refrigerator!! 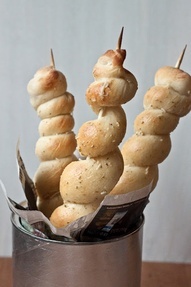 Hey... you know those bread sticks you can buy in the roll (maybe Pillsbury)... wouldn't they look cute wrapped around the bamboo skewers and baked in the oven? I think these are so cute!!! If you ever feel wrinkly and old... just take a look at this picture and it will make you feel so much better.... this is a hoot. I would love to know what's going through this dog's mind right now!! 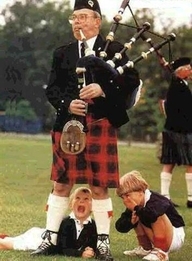 I just couldn't resist this photo... what a hoot!!!! "wow... I love this little fellow...can we keep him?" Today... Lexie is arriving...we're going to have breakfast (Mom and Dad are helping at an auction) and then we're going to the garage! I promised I would help Jack sort through things... one pile for Goodwill, one for the antique auction, one for the garbage... one for packing into air/water tight tubs... OH MY GOSH... I DON'T WANT TO DO THIS! I'd rather go to the dentist....!!! Chat with you tomorrow... I just heard the doorbell... Lexie is here!!!!!!!! !